Listed below are what I believe to be the best Usenet provider options based on functionality, service and price. There are certainly more options out there and this is not intended to be a complete listing. Supernews is a Giganews reseller. Giganews, although less popular in recent years, has been the king of Usenet since basically… forever. They are fast and reliable… but… Giganews themselves are extremely expensive. 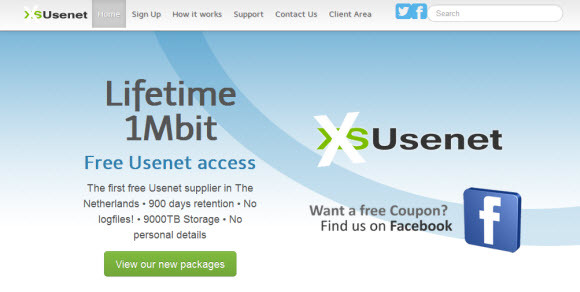 Basically as expensive as you can get for a Usenet account. Supernews resells Giganews service and does so for a fraction of the cost. They have incredible retention and speeds that will cover all but the best internet connections. You are getting a premium service at a great price. Another great unlimited account with huge retention and strong download speeds. Although Astraweb is fairly quick with DMCA takedowns, they are also one of the primary providers that uploaders use. This means that if you are getting fed NZB’s (which we will get into) you have access to the data before it propagates and have a bit more time to beat the takedown. FrugalUsenet is a Readnews reseller. which is one of the top groups based in the US. As far as US providers go they have among the best completion rates and are a touch slower on DMCA takedowns then Giganews and Highwinds. The best part of Frugal is their price. $5 a month or $50 for a year. The trade off? .. Of course, there is always a trade off. They only serve a retention of about 1 year which makes them useless for older files. This means you’ll probably need a backup account or need to hit other services if you decide to start watching a new show that is already a few seasons in. NGD frequently has sales on their block accounts making them an awesome choice for a backup if you are on a budget. Their sales are frequent but unpredictable so you will need to keep watch on here, reddit, or make frequent visits to their site! This server operates out of NL meaning they don’t have to comply with DMCA requests and have strong completion. They also offer low bandwidth unlimited accounts for cheap cheap cheap. This makes them a strong option as a monthly sub “Backup” server to fill in missing articles from your primary. Much like the above, this site operates in a place where the DMCA can’t touch them. They have probably the best completion rate of any server in the world against DMCA takedowns and also have low bandwidth monthly options available and occasional block sales. Some users complain that speeds are unpredictable making it not a great option as a primary server, but a great backup. Yes… Free! They offer a 1Mbps connection for free which is painfully slow, but hey, it may get the job done for you. And if not it makes a great free backup alternative. The wonderful people at the Usenet sub of Reddit are maintaining an awesome list of providers that covers who is who and attempts to catalog the factors we have described here. It is a great place to start looking at your options if you don’t want to take my recommendations!